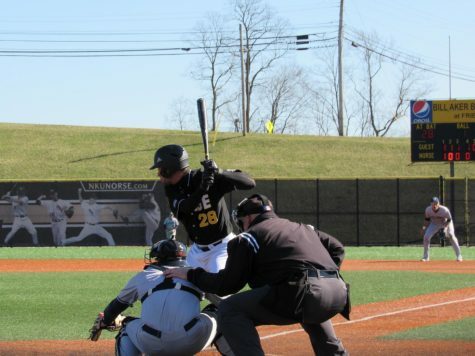 Northern Kentucky baseball lost to the Xavier Musketeers 8-1 on Tuesday, leaving head coach Todd Asalon frustrated and searching for answers. The loss ended their five game winning streak for mid week games and caused them to miss the chance to tie the all time series at 21 wins a piece. 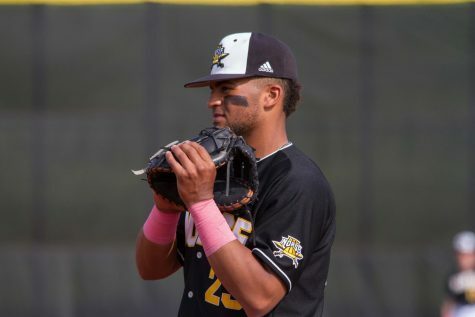 Xavier senior Andre Jernigan hit a one-run homerun off Norse starter Kyle Colletta to heat things up in the top of the second, which was quickly followed by a stand up triple from freshman Chris Givin. Freshman Roger Danison sacrificed a single which allowed Givin to cross home, which put the Musketeers in the lead with 2-0. 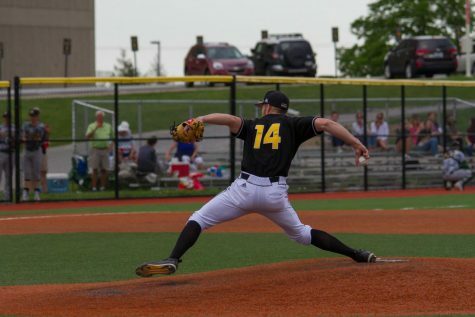 The game remained competitive but scoreless until the top of the fourth, when Jernigan led things off again with a double to deep left field. An error by Ryan LeFevers allowed Danison’s fly ball to drop and Jernigan to score. Junior Ethan Schmidt recorded Xavier’s second homerun of the game, while batting in Danison and making their lead 5-0, ending Colletta’s day. .
Northern finally found their way on the board after a triple from Anthony Vagnier allowed LeFevers to cross home making it a 5-1 ball game. 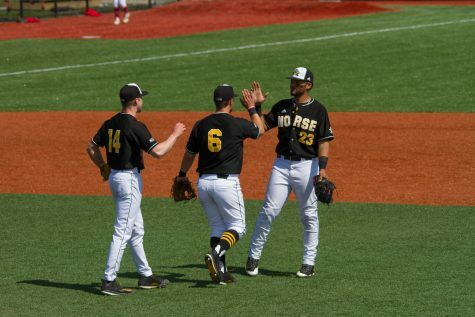 The Norse had many other chances late in the game to close the gap, but multiple innings ended with more than one player stranded on base. 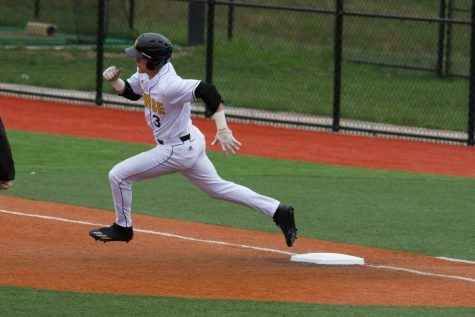 The top of the eighth started off with another one-run home run from junior right fielder Joe Gellenbeck. 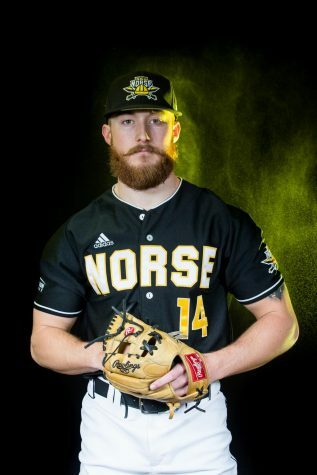 The Norse turned to their bullpen once again, and brought out Justin Watts for his first relief appearance of the season, in hopes to slow up the Musketeers quick and effective bats. The ninth inning didn’t look much different, after Xavier scored two more unanswered runs, with an ending score of 8-1. 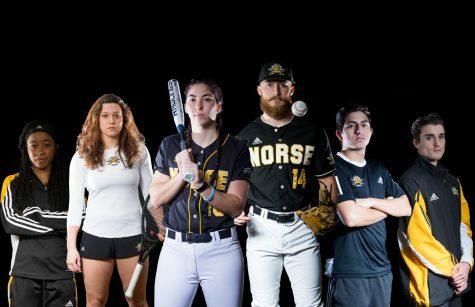 Xavier got the better of the Norse, who have played each other 42 times since 1937 which is the most NKU has met a Division I club. 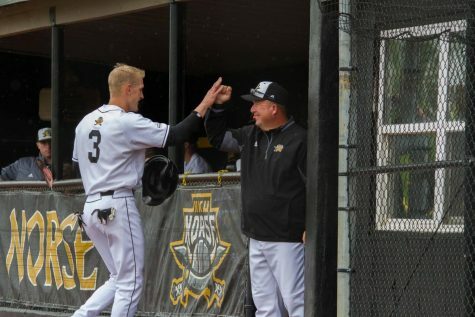 The familiarity with Xavier for the Norse extends further than the programs themselves as head coach Asalon has known Xavier head coach Scott Googins since their playing days in college. “I’ve known Googs since back in his days at Indiana, about ten years. We are really good friends. We’ve had a good coaching relationship for a really long time” reveals Asalon. Although Asalon was upset with the outcome of the game, his relationship with Xavier head coach, Scott Googins remains the same. 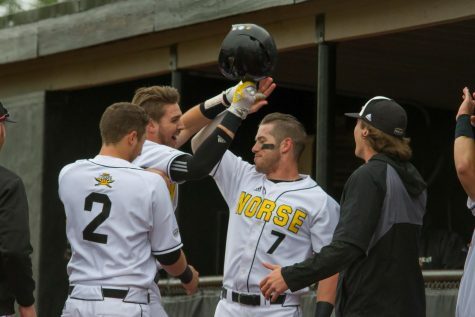 The Norse are back in action tomorrow against the Dayton Flyers at 3 p.m. at the Bill Aker Baseball Complex.